The Human Development Initiatives (HDI) received support from the MacArthur Foundation to monitor the utilization of Universal Basic Education projects in collaboration with other grantees of the Foundation. 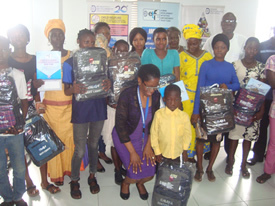 The Project focuses mainly on Transparency and Accountability in the utilization of Universal Basic Education funds (UBEF), particularly in Lagos State. Former President Olusegun Obasanjo launched the Universal Basic Education (UBE) Programme, which is a nine (9) year basic education programme, on 29th September 1999 in Sokoto State Nigeria. The program is expected to among other things: eradicate illiteracy, ignorance and poverty as well as accelerate national development, while strengthening national integration. The UBE Act was signed into law in May 2004, to serve as legal back up for the program. 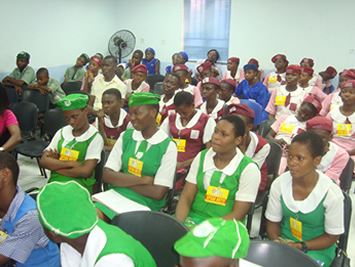 Funded mainly from 2% of the Consolidated Revenue Fund (CRF) of the Federal Government of Nigeria, the Universal Basic Education funds are contributed jointly by the Universal Basic Education Commission, Abuja, ad all States of the Federation through a Matching Grant-Counterpart funding arrangement. The bulk of UBE funds is directly managed by States through their States Universal Basic Education Boards (SUBEBs). The funds cover such projects as Construction (of new projects), rehabilitation (of old structures), fencing and furniture (for both teachers and pupils). As at July 2017, the UBEC has disbursed about #285,017,378,508.89 to 36 states of the Federation and the FCT. This project is targeted at ensuring that education goods and services get delivered to schools. 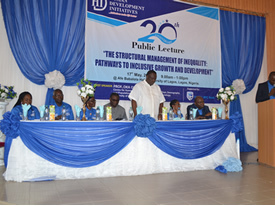 The project will engage both government (Supply) and other Non-State actors (demand) side using the famous sandwich strategy of “pushing from below and squeezing from the top.” Stakeholders involved in this project include but are not limited to Government (UBEC, LSUBEB, the 20 LGEAs in Lagos and the Federal and Lagos State Ministries of education), School Based Management Committees (SBMCs), Parents’ Forum (PF), Community Based Organisations, Community Development Associations (CDAs), traditional and religious leaders. HDI’s focal Local Government Education Authorites in the State include the nine (9) below listed: Agege, Ajeromi-Ifelodun, Amuwo-Odofin, Apapa, Ibeju-Lekki, Mushin, Ojo, Shomolu and Surulere. This project is intended to run for three years and involves the use of such strategies as: advocacies, sensitization, town-hall meetings, seminars/workshops and on-site monitoring and reporting, which reports wold be looped back to UBEC and SUBEB who are direct prosecutors of the UBE funds.